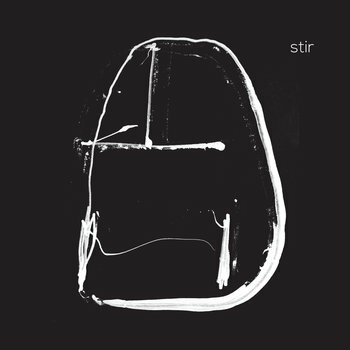 "The group involved in Stir begins as an unrecorded Montreal-based trio called Still that consists of alto saxophonist Yves Charuest, bassist Nicolas Caloia and drummer Peter Valsamis, then adds the titanic Spanish pianist Agustí Fernández. It's a collective performance by a compound ensemble devoted to free jazz, but there's also a sense of traditional roles, with Charuest and Fernández frequently in the foreground. Charuest runs counter to expectations for free jazz saxophonists, his playing consistently lyrical, often understated, his brief, sometimes elliptical lines conveying intense passion and thought, but rarely cascades of notes or distorted timbres. His original models likely included Lee Konitz, but Charuest, who began his career in the 1980s and spent a creative stretch in Europe, long ago sublimated his influences into a distinctly personal style. Charuest's meeting with Fernández can suggest some of the David-and-Goliath dialogue of Jimmy Lyons and Cecil Taylor, but the telepathic interaction practised by the two is remarkable, with even short, simultaneous phrases sounding like they might have arrived via manuscript paper. Enregistré le 19 juin 2014, studio Hotel2Tango, Montréal. Mes plus sincères remerciements à Agustí Fernández, Nicolas Caloia, Peter Valsamis, Thierry Amar, Bernard Grenon, John Heward, Éric Normand, Peter Burton, Carole Bélanger et Chen-Wei Liu pour leur présence et leur soutien.